An awesomely swishworthy witchy skirt; bias cut with an awesome gathered hem, and an elasticated waistband! Available in any of our shades of cotton lycra; but if you want it any of our our fabrics - just ask! 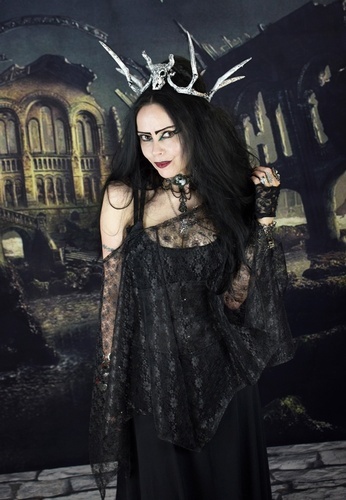 :D<br> <br> It's paired in some of the pics with our gorgeous Basic Witch Bodice, and Lace Shroud! It's paired in some of the pics with our gorgeous Basic Witch Bodice, and Lace Shroud!